The term “security” is rather vague. What does “security” really entail? Obviously security systems and surveillance systems fall into the realm of “security,” but what else? Well, what you might be surprised to learn is that many security officers nowadays are also responsible for fire, life safety, and safety. What is Fire and Life Safety? The term “Fire and Life Safety” refers to a wide range of duties, the most important of which is the protection of people and employees. And, as you can imagine, one of the best tools for security officers to accomplish this goal is a top notch fire alarm and early warning system. This will not only help keep employees safe, but it should also help minimize property damage. 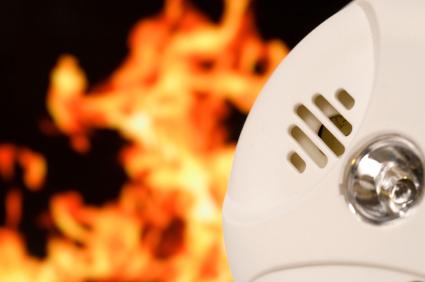 When it comes to safety, it is important to detect a fire as soon as possible. This is why it is crucial to have a strong fire alarm system in place. Smoke detectors themselves are not enough. National Fire Alarm and Signaling Code (NFPA) 72 contains the requirements for the installation of smoke detectors, heat detectors, flame detectors, gas detectors, signal transmission including proprietary supervising station, central station monitoring, notification appliances and many other functions for the fire alarm system. Because fire alarm codes are so strict, it is important to rely on a company with years of experience in the field, a company like ARK Systems. Expertise is crucial, and we’ve got it to spare. We can design, install, service and test just about any type of fire alarm system you need, in just about any environment, large or small. For any further questions on Fire Alarms, simply contact ARK Systems at 1-800-995-0189 or click here today. This entry was posted on Thursday, December 20th, 2012 at 8:40 pm. Both comments and pings are currently closed.